Historical Society. Click on photos to enlarge. In the early 1840s, two men show up in the small hamlet of Assabet Village, at that time basically a collection of farm holdings by the Smith and Brooks families plus a grain mill and a small paper mill, all strung out along Great Road [Route 117], and start buying up land. Amory Maynard buying this. William Knight buying that. Locally, no one knows them, but they have plenty of money. A cardinal rule of real estate is that if a fool wants to buy land at above market, sell it. It was not clear here who the fools were, but the end result was that by the time the ink had dried, it had become obvious that Maynard and Knight were partners in an endeavor, and they were the new owners of more than 300 acres of land, plus water rights extending miles up the Assabet River. In the summer of 1846, Amory Maynard moved his family from Marlborough to a house on Summer Hill Road, hired Artemas Whitney to build a dam, and had a canal dug from the dam to a location downstream on the river where he then built a 100x50 foot woolen mill, complete with a water wheel. The key benefit of moving the dam upstream and the mill downstream was greater vertical drop for the water, meaning more power from the water wheel. Meanwhile, Knight was reaffirming his Boston business connections in the raw wool, wool yarn and carpet industries, in which his experience dated back twenty years. Together, they were making and selling carpets by 1847. The business was officially incorporated as the Assabet Manufacturing Company in May of 1849. In December of that same year, Knight withdrew from day-to-day operations. He sold the business and some of his land holdings to Maynard for $50,000, of which 80 percent was on mortgage. The mill was on hard times in the Panic of 1857, and again in 1861. In the latter instance it went into foreclosure. Maynard was bought out for cash and assumption of his mortgage to Knight, while at the same time another investor bought Knight’s remaining in-town holdings. Later in 1861, the Assabet Manufacturing Company was incorporated again, this time with Boston investors owning a majority and Knight out of the picture. 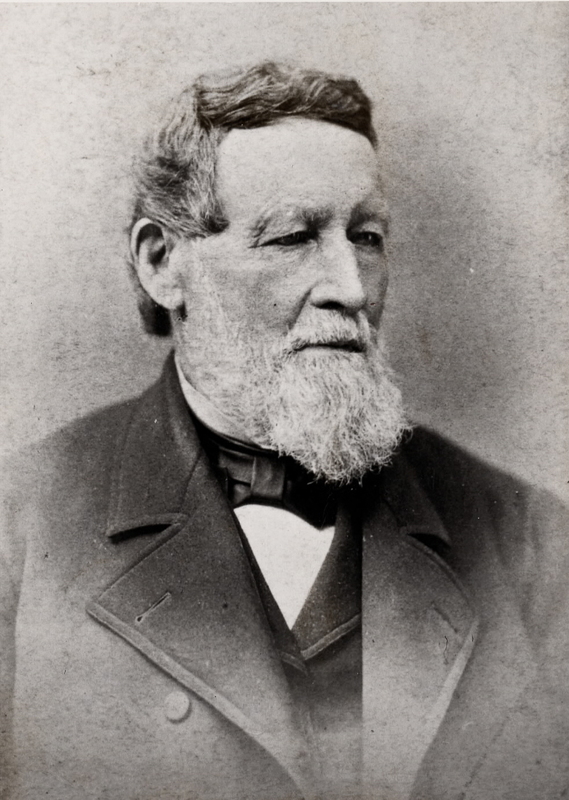 Amory Maynard became the on-site Agent, equivalent to a chief operating officer, owning only 20 percent. Knight, in retirement, built an imposing five-story brownstone mansion on Beacon Hill and lived the widower’s life there until his death, in 1870. Going forward in time, Amory managed the mill, plus a construction company on the side. His son Lorenzo took over mill operations in 1885 and was then Agent until December 1898, when the mill went bankrupt a second time. Not his fault. In 1894 the federal government has ended protective tariffs on wool cloth entering the country as part of the Wilson-Gorman Tariff Act. Dozens of U.S. wool mills went under. The Dingley Act of 1897 restored the protective tariff – too late for Maynard. The foreclosure assignees managed the mill until a sale to the American Woolen Company was completed in May 1899. In time, AWC more than doubled the size of the mill and built more worker housing. American Woolen Company. Courtesy Maynard Historical Society. At the time of the 1898 foreclosure, assets at the mill included deposits of $137,587.31 from employees of the mill and business owners in town. This was due to the inconvenience of the nearest bank being in Hudson. The mill acted as a bank, and actually issued bank books and paid interest. After the mill failure depositors initially got back only 55 percent of their savings. There was an additional partial payment after AWC completed the purchase, but nobody got back all of their money, nor any of the interest earned. 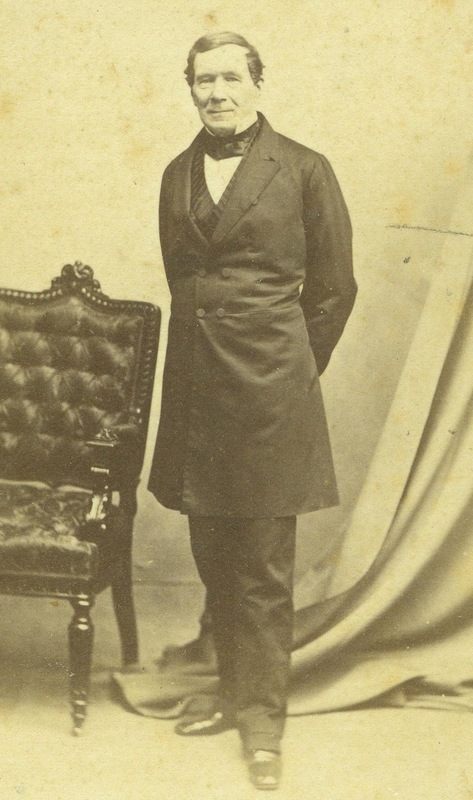 Lorenzo Maynard was known to have sold most of his shares in the mill before it went under. The animus toward Lorenzo culminated in an attempt to change the name of the town to Assabet a few years later. Does all this fiduciary minutia matter? Well, yes. Without Amory’s transformation from sole owner to Agent, he might not have put so much effort into A&L Maynard – his and Lorenzo’s construction company. And if the mill had not failed under Lorenzo in 1898, then he would still be managing it to his death in 1904, and the American Woolen Company might have no longer been in a position to buy in. No increased need for employees would have meant Maynard as less of an immigration magnet, with perhaps entire ethnic groups never getting here in significant numbers, nor building churches and meeting halls, nor creating need for a trolley, which in turn drew people from neighboring towns to Maynard businesses. A very different Town of Maynard. 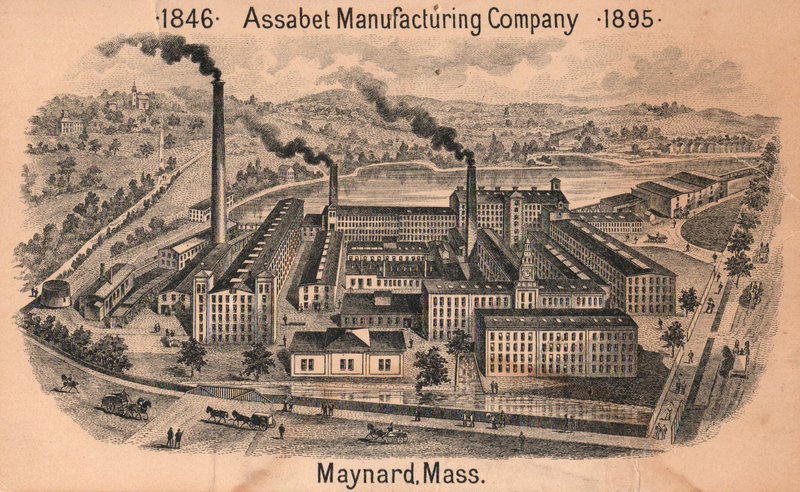 Not in the article, but at the time of the 1898 bankruptcy, William Maynard was the largest shareholder of the Assabet Manufacturing Company. Lorenzo, his brother, had sold the majority of his own stock before the bankruptcy.